McNeil, D.J., K.R. Aldinger, M.H. Bakermans, J.A. Lehman, A.C. Tisdale, J.A. Jones, P.B. Wood, D.A. Buehler, C.G. Smalling, L. Siefferman, and J.L. Larkin. 2017. An Evaluation and Comparison of Conservation Guidelines for an At-risk Migratory Songbird. Global Ecology and Conservation 9:90-103. Frantz, M.W., K.R. Aldinger, P.B. Wood, J. Duchamp, T. Nuttle, A. Vitz, and J. Larkin. 2016. Space and habitat use by breeding golden-winged warblers in the central Appalachian Mountains. Studies in Avian Biology 49:81-94. Terhune, T.M., K.R. Aldinger, D.A. Buehler, D.J. Flaspohler, J.L. Larkin, J.P. Loegering, K.L. Percy, A.M. Roth, C.G. Smalling, and P.B. Wood. 2016. Golden-winged warbler nest-site habitat selection. Studies in Avian Biology 49:109-125. Blazer, V.S., H.L. Walsh, R.P. Braham, C.M. Hahn, P.M. Mazik, and P. McIntyre. 2016. Tumors in white sucker from Lake Michigan tributaries: pathology and prevalence. Journal of Fish Diseases. doi:10.1111/jfd.12520. Farwell, L.S., P.B. Wood, J. Sheehan, and G.A. George. 2016. Shale gas development effects on the songbird community in a central Appalachian forest. Biological Conservation 201:78-91. Smith, B.W., A.N. Tri, C.A. Dobony, J.W. Edwards, and P.B. Wood. 2015. Behavior and nesting ecology of Appalachian ruffed grouse. Canadian Field Naturalist 129:245-253. Owen, S.F., J.L. Berl, J.W. Edwards, W.M. Ford and P.B. Wood. 2015. Raccoon Spatial Requirements and Multi-Scale Habitat Selection within Intensively Managed Central Appalachian Forests. American Midland Naturalist 174:87-95. Becker, D.A., P.B. Wood, M.P. Strager, C. Mazzarella. 2015. Impacts of mountaintop mining on terrestrial ecosystem integrity: identifying landscape thresholds for avian species in the central Appalachians, United States. Landscape Ecology 30:339-356. Aldinger, K. and P.B. Wood. 2014. Reproductive success and habitat characteristics of Golden-winged Warblers in high-elevation pasturelands. Wilson Journal of Ornithology 126(2):279-287. Perkins, K.A. and P.B. Wood. 2014. Selection of forest canopy gaps by male cerulean warblers in West Virginia. Wilson Journal of Ornithology 126(2):288-297. Blazer, V.S., P.M. Mazik, L.R. Iwanowicz, R.P. Braham, C.M. Hahn, H.L. Walsh, and A.J. Sperry. 2014. Assessment of the fish tumor beneficial use impairment in brown bullhead (Ameiurus nebulosus) at selected Great lakes Areas of Concern. U.S. Geological Survey Open-File Report 17p., http://dx.doi.org/10.3133/ofr20141105. IP-056691 BAO approval 5/21/14. J. Sheehan, P.B. Wood, D.A. Buehler, P.D. Keyser, J.L. Larkin, A.D. Rodewald, T.B. Wigley, T.J. Boves, G.A. George, M.H. Bakermans, T.A. Beachy, A. Evans, M.E. McDermott, F.L. Newell, K.A. Perkins, and M. White. 2014. Avian response to timber harvesting applied experimentally to manage cerulean warbler breeding populations. Forest Ecology and Management 321:5-18. Boves, T.J., D.A. Buehler, P.B. Wood, A.D. Rodewald, J.L. Larkin, P.D. Keyser, and T.B. Wigley. Multiple plumage ornaments convey information about age and within-age-class qualities of a canopy-dwelling songbird, the Cerulean Warbler. Auk 131:20-31. Wood, P.B. and J.M. Williams. 2013. Terrestrial salamander abundance on reclaimed mountaintop removal mines. Wildlife Society Bulletin 37(4):815-823. McDermott, M.E., M.B. Shumar, and P.B. Wood. 2013. Case study: prioritizing reforestation of minelands for cerulean warbler conservation. Journal of the American Society of Mining and Reclamation 2(2):80-98. Wood, P. J. Larkin, J. Mizel, C. Zipper, and P. Angel. 2013. Reforestation to enhance Appalachian mined lands as habitat for terrestrial wildlife. Forest Reclamation Advisory No. 10. U.S. Office of Surface Mining, ARRI. Newell, F., J. Sheehan, P.B. Wood, A.D. Rodewald, et al. 2013. Comparison of point counts and territory mapping for detecting effects of forest management on songbirds. Journal of Field Ornithology 84:270-286. Anderson J.T., A.K. Zadnik, P.B. Wood, and K. Bledsoe. 2013. Evaluation of habitat quality for selected wildlife species associated with back channels. Open Journal of Ecology 3:301-310. Wood, P.B. and J.M. Williams. 2013. Impact of Valley Fills on Streamside Salamanders in Southern West Virginia. Journal of Herpetology 47:119-125. Wickham, J., P.B. Wood, M.C. Nicholson, W. Jenkins, D. Druckenbrod, G.W. Suter, M.P. Strager, C. Mazzarella, W. Galloway, and J. Amos. 2013. The overlooked terrestrial impacts of mountaintop mining. BioScience 63:335-349. Wood, P.B., J. Sheehan, P. Keyser, D. Buehler, J. Larkin, A. Rodewald, S. Stoleson, T.B., Wigley, J. Mizel, T. Boves, G. George, M. Bakermans, T. Beachy, A. Evans, M. McDermott, F. Newell, K. Perkins, and M. White. 2013. Management guidelines for enhancing Cerulean Warbler breeding habitat in Appalachian hardwood forests. American Bird Conservancy. The Plains, Virginia. 28 pp. Boves T.J., D.A. Buehler, J. Sheehan, P.B. Wood, A.D. Rodewald, J.L. Larkin, P.D. Keyser, F.L. Newell, G.A. George, M.H. Bakermans, A. Evans, T.A. Beachy, M.E. McDermott, K.A. Perkins, M. White, and T.B. Wigley. 2013. Emulating natural disturbances for declining late-successional species: a case study of the consequences for Cerulean Warblers (Setophaga cerulea). PLoS ONE e52107. Boves T.J., D.A. Buehler, J. Sheehan, P.B. Wood, A.D. Rodewald, J.L. Larkin, P.D. Keyser, F. L. Newell, A. Evans, G.A. George and T. B. Wigley. 2013. Spatial variation in breeding habitat selection by Cerulean Warblers (Setophaga cerulea) throughout the Appalachian Mountains. Auk 130(1): 46-59. Wood, P.B. and K.A. Perkins. 2012. Behavioral activities of male cerulean warblers in relation to habitat characteristics. Wilson Journal of Ornithology 124(3):497-505. Becker, D.A., P.B. Wood, and P.D. Keyser. 2012. Canada Warbler use of harvested stands following timber management in the southern portion of their range. Forest Ecology and Management 276:1–9. Dellinger, R., P.B. Wood, P.W. Jones, and T.M. Donovan. 2012. Hermit Thrush (Catharus guttatus), updated. The Birds of North America Online (A. Poole, Ed.). Ithaca: Cornell Lab of Ornithology; Birds of North America Online. Dodd, L.E., M.J. Lacki, E.R. Britzke, D.A. Buehler, P.D. Keyser, J.L. Larkin, A.D. Rodewald, T.B. Wigley, P.B. Wood, and L.K. Rieske. 2012. Forest structure affects trophic linkages: how silviculture disturbance impacts bats and their insect prey. Forest Ecology and Management 267:262-270. McElhone, P.M., P.B. Wood, and D.K. Dawson. 2011. Effects of stop-level habitat change on cerulean warbler detections along breeding bird survey routes in the central Appalachians. Wilson Journal of Ornithology 123(4):699-708. Becker, D.A., P.B. Wood, P.D. Keyser, T.B. Wigley, R. Dellinger, and C.A. Weakland. 2011. Threshold responses of songbirds to long-term timber management on an active industrial forest. Journal of Forest Ecology and Management 262:449–460. McDermott, M.E. and P.B. Wood. 2011. Post-breeding bird responses to canopy tree retention, stand size, and edge in regenerating Appalachian hardwood stands. Forest Ecology and Management 262:547-554. McDermott, M.E., P.B. Wood, G.W. Miller, and B.T.Simpson. 2010. Predicting breeding bird occurrence by stand- and microhabitat-scale features in even-aged stands in the Central Appalachians. Forest Ecology and Management 261:373-380. Fajvan, M.A. and P. B. Wood. 2010. Maintenance of eastern hemlock forests: factors associated with hemlock vulnerability. Pp 31-38 in Rentch, J. S. and T.M. Schuler, eds. 2010. Proceedings from the conference on ecology and management of high-elevation forests in the central and southern Appalachian Mountains. USDA Forest Service, General Technical Report NRS-P-64. 250 p.
McDermott, M.E. and P.B. Wood. 2010. Influence of cover and food resource variation on post-breeding bird habitat use, molt, and body condition in even-aged stands. Wilson Journal of Ornithology. 122:545-555. Morrison, J.L. and P.B. Wood. 2009. Broadening our approaches to studying dispersal in raptors. Journal of Raptor Research 43:81-89. Wood, P. B. 2009. Recovery distances of nestling bald eagles banded in Florida and implications for natal dispersal and philopatry. Journal of Raptor Research 43:127-133. Hansbarger, J., J. T. Petty and P. M. Mazik. 2009. Brook trout movement within a high elevation watershed. Proceeding of the Annual Conference of the Southeastern Association of Fish and Wildlife Agencies 62:142-148. Zadnik, A.K., J.T. Anderson, P.B. Wood, and K. Bledsoe. 2009. Wildlife use of back channels associated with islands on the Ohio River, West Virginia. Wetlands 29:543-551. Manjerovic, M.B., P.B. Wood., and J.W. Edwards. 2009. Mast and weather influences on population trends of a species of concern: the Allegheny woodrat. American Midland Naturalist 162:52-61. McDermott, M. E., and P. B. Wood. 2009. Short- and long-term implications of clearcut and two-age silviculture for conservation of breeding forest birds in the central Applachians, USA. Biological Conservation 142:212-220. Mitchell, M. S., M. J. Reynolds-Hogland, M. L. Smith, P. B. Wood, and others. 2008. Projected long-term response of Southeastern birds to forest management. Forest Ecology and Management 256:1884-1896. Wood, P. B, J. Perez, and J. M. Wood. 2008. Hemlock ecosystem monitoring in southern West Virginia. Pages 270-278 in Proceedings of the 4th Symposium on Hemlock Woolly Adelgid. Hartford, CT. USDA Forest Service Publication FHTET-2008-1. Wood, P. B. 2008. Woodrat population dynamics and movement patterns. Chapter 3, Pages 45-62 in The Allegheny Woodrat: Ecology, Conservation, and Management of a Declining Species, J. Peles and J. Wright, eds. Springer. Ammer, F. K., P. B. Wood, and R. J. McPherson. 2008. Gender identification of Grasshopper Sparrows comparing behavioral, morphological, and molecular techniques. Wilson Journal of Ornithology 120:221-225. Dellinger, R. L., P. B. Wood, and P. D. Keyser. 2007. Habitat partitioning of four sympatric thrush species at three spatial scales on a managed forest in West Virginia. Auk 124:1425-1438. Clingerman, J., J. Bebak, P. Mazik, and S. T. Summerfelt. 2007. Use of avoidance response of rainbow trout to carbon dioxide for fish self-transfer between tanks. Aquaculture Engineering 37:234-251. Davidson, J., A. Frankel, W. Ellison, S. Summerfelt, A. N. Popper, P. Mazik, and J. Bebak. 2007. Minimizing noise in fiberglass aquaculture tanks: noise reduction potential of various retrofits. Aquaculture Engineering 27:125-131. Dellinger, R. L., P. B. Wood, and P. D. Keyser. 2007. Occurrence and nest survival of four thrush species on a managed central Appalachian forest. Forest Ecology and Management 243(2007):248-258. McClurg, S., J. T. Petty, P. M. Mazik, J. Clayton. 2007. Stream ecosystem response to limestone treatment in acid impacted watersheds of the Allegheny Plateau. Ecological Applications 17:1087-1104. Johnson, J. B., P. B. Wood, and J. W. Edwards. 2006. Are external mine entrance characteristics related to bat use? Wildlife Society Bulletin 34:1368-1375. Wood, P. B., S. Bosworth, and R. Dettmers. 2006. Cerulean warbler abundance and occurrence relative to large-scale edge and habitat characteristics. Condor 108:154-165. Wood, P. B., J. P. Duguay, and J. V. Nichols. 2005. Cerulean warbler use of regenerated clearcut and two-age harvests. Wildlife Society Bulletin 33:851-858. Hornsby, B. S., A. M. Ruiz, S. B. Castleberry, N. L. Castleberry, W. M. Ford, and P. B. Wood. 2005. Fall movements of Allegheny woodrats in harvested and intact stands in West Virginia. Northern Journal of Applied Forestry 22(4):281-284. Johnson, J. B., J. W. Edwards, and P. B. Wood. 2005. Virginia big-eared bats (Corynorhinus townsendii virginianus) roosting in abandoned coal mines in West Virginia. Northeastern Naturalist 12:233-240. Jittinandana S., P. B. Kenney, P. M. Mazik, M. Danley, C. D. Nelson, R. A. Kiser, and J. A. Hankins. 2005. Transport treatment and stunning method affect quality of arctic char fillets. Journal of Muscle Foods 16:274-288. Petty, J. T., P. J. Lamothe, and P. M. Mazik. 2005. Spatial and seasonal dynamics of brook trout populations inhabiting a central Appalachian watershed. Transactions of the American Fisheries Society 134:572-587. Weakland, C. A. ., and P. B. Wood. 2005. Cerulean warbler (Dendroica cerulea) microhabitat and landscape-level habitat characteristics in southern West Virginia. Auk 122:497-508. Nickum, M. J., P. M. Mazik, J. D. Nickum and D. MacKinlay, editors. 2004. Propagated Fish in Resource Management. American Fisheries Society, Symposium 44, American Fisheries Society, Bethesda, Maryland. 644 Pages. Owen, S. F., M. A. Menzel, J. W. Edwards, W. M. Ford, J. M. Menzel, B. R. Chapman, P. B. Wood, and K. V. Miller. 2004. Bat activity in harvested and intact forest stands in the Allegheny Mountains. Northern Journal of Applied Forestry 21(3):154-159. Owen, S. F., J. W. Edwards, W. M. Ford, J. M. Crum, and P. B. Wood. 2004. Raccoon roundworm in raccoons in Central West Virginia. Northeastern Naturalist 11:137-142. Chamblin, H. D., P. B. Wood, and J. W. Edwards. 2004. Allegheny woodrat (Neotoma magister) use of rock drainage channels on reclaimed mines in southern West Virginia. Amererican Midland Natururalist 151:346-354. Owen, S. F., M. A. Menzel, W. M. Ford, B. R. Chapman, K. V. Miller, J. W. Edwards, and P. B. Wood. 2003. Home-range size and habitat used by the northern myotis (Myotis septentrionalis). American Midland Naturalist 150(2):352-359. Balcerzak, M. J., and P. B. Wood. 2003. Red-shouldered hawk abundance and habitat in a reclaimed mine landscape. Journal of Raptor Research 37(3):188-197. Gregg, I. D., P. B. Wood, and A. K. Steketee. 2003. Comparison of reclaimed and unmined woodcock diurnal habitat in West Virginia. 2001 Proc. Annu. Conf. SEAFAW. Pp. 488-497. Churchill, J. B., P. B. Wood, and D. F. Brinker. 2002. Winter home range and habitat use of female northern saw-whet owls at Assateague Island, Maryland. Wilson Bulletin 114(3):309-313. Castleberry, S. B., N. L. Castleberry, P. B. Wood, W. M. Ford, and M. T. Mengak. 2003. Fleas (Siphonaptera) of the Allegheny woodrat (Neotoma magister) in West Virginia with comments on host specificity. American Midland Naturalist 149(1):233-236. Castleberry, S. B., T. L. King, P. B. Wood, and W. M. Ford. 2002. Microsatellite DNA analysis of population structure in Allegheny woodrats (Neotoma magister). Journal of Mammalogy 83(4):1058-1070. Williams, G. E., and P. B. Wood. 2002. Are traditional methods of determining nest predators and nest fates reliable? An experiment with Wood Thrushes using miniature video cameras. Auk 119(4):1126-1132. Jittinandana, S., P. B. Kenney, S. D. Slider, P. Mazik, J. Bebak-Williams, and J. A. Hankins. 2003. Effect of handling stress on quality of smoked Arctic Char (Salvelinus alpinus) fillets. Journal of Food Science 68:58-63. Ammer, F. K., and P. B. Wood. 2002. Probable breeding of short-eared owls in southern West Virginia. Journal of Raptor Research 36(3):237-238. Mazik, P. M., N. C. Parker, and B. A. Simco. 2001. Relation of environmental calcium and pH to the stress response of striped bass. Proceeding of the Annual Conference of the Southeastern Association of Fish and Wildlife Agencies 55:208-217. Mazik, P. M., B. A. Simco, and N. C. Parker. 2002. Influence of water hardness, salts and MS-222 on survival of Phase I striped bass during and after transport. 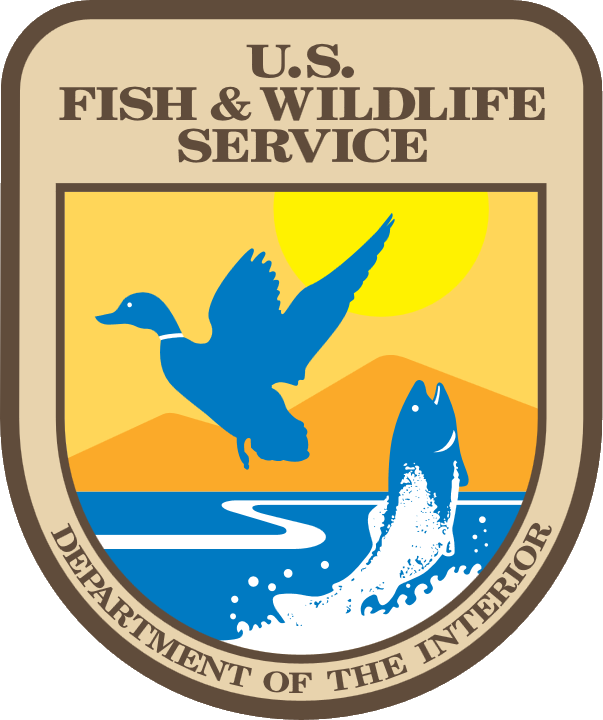 Proceedings of the Southeastern Association of Fish and Wildlife Agencies. 56:75-78. Castleberry, N. L., S. B. Castleberry, W. M. Ford, P. B. Wood, and M. T. Mengak. 2002. Allegheny woodrat food habitats in the Central Appalachians. American Midland Naturalist 147(1):80-92. Castleberry, S. B. ., P. B. Wood, W. M. Ford, N. L. Castleberry, and M. T. Mengak. 2002. Summer microhabitat selection by foraging Allegheny woodrats (Neotoma magister) in a managed forest. American Midland Naturalist 147(1):93-101. Duguay, J. P., and P. B. Wood. 2002. Salamander abundance in regenerating forest stands on the Monongahela National Forest, West Virginia. Forest Science. 48(2):331-335. Menzel, M. A., S. F. Owen, W. M. Ford, J. W. Edwards, P. B. Wood, B. R. Chapman, and K. V. Miller. 2001. Roost tree selection by northern long-eared bat (Myotis septentrionalis) maternity colonies in an industrial forest of the central Appalachian Mountains. Forest Ecology and Management 155(2002):107-114. Weakland, C. A., P. B. Wood, and W. M. Ford. 2002. Responses of songbirds to diameter-limit cutting in the central Appalachians of West Virginia. Forest Ecology and Management 155(2002):115-129. Duguay, J. P., P. B. Wood, and J. V. Nichols. 2001. Songbird abundance and avian nest survival rates in forests fragmented by different silvicultural treatments. Conservation Biology. 15(5): 1405-1415. Mazik, P. M., and N. C. Parker. 2001. Semi-intensive culture systems in G. Wedemeyer, editor. Fish Hatchery Management, 2nd Edition. Pages 241-284. American Fisheries Society, Bethesda, Maryland. Owen, S. F., M. A. Menzel, W. M. Ford, B. R. Chapman, K. V. Miller, J. W. Edwards, and P. B. Wood. 2001. First summer record of a female Indiana bat, Myotis sodalis, in West Virginia. Journal of the Elisha Mitchell Scientific Society 117(2):132-134. Castleberry, S. B., W. M. Ford, P. B. Wood, N. L. Castleberry and M. T. Mengak. 2001. Movements of Allegheny woodrats in relation to timber harveting. Journal of Wildlife Management 65(1):148-156. Wood, P. B., J. B. Churchill, and T. McClellan. 1999. Breeding bird use of crop tree release harvests, Cooper's Rock State Forest, West Virginia. Proceedings of the West Viriginia Academy of Sciences. 71:48-55. Gregg, I. D., P. B. Wood and D. E. Samuels. 2000. American Woodcock use of reclaimed surface mines in West Virginia. Pages 9-22 in D. G. McAuley, J. G. Bruggink and G. F. Sepik, eds. Proceedings of the Ninth American Woodcock Symposium. USGS Biological Resources Division Information and Technology Report USGS/BRD/ITR-2000-0009. 117pp. Steketee, A. K., P. B. Wood, J. G. Bruggink, D. E. Samuel and J. I. Cromer. 2000. Land-use/land-cover changes along woodcock singing ground survey routes in West Virginia. Pages 107-116 in D. G. McAuley, J. G. Bruggink and G. F. Sepik, eds. Proceedings of the Ninth American Woodcock Symposium. USGS Biological Resources Divsion Information and Technology Report USGS/BRD/ITR-2000-0009. 117pp. Duguay, J. P, P. B. Wood and G. W. Miller. 2000. Effects of timber harvests on invertebrate biomass and avian nest success. Wildlife Society Bulletin 28(4): 1-9. Castleberry, S. B., T. L. King, P. B. Wood, and W. M. Ford. 2000. Microsatellite DNA markers for the study of Allegheny woodrat (Neotoma magister) populations and cross-species amplification in the genus Neotoma. Molecular Ecology 9:824-826. Tiersch, T. R., and P. M. Mazik. 2000. Cryopreservation in Aquatic Species. T. R. Tiersch and P. M. Mazik, editors. World Aquaculture Society, Baton Rouge, Louisiana. 439 Pages. Churchill, J. B., P. B. Wood, and D. F. Brinker. 2000. Diurnal roost site characteristics of northern saw-whet owls wintering at Assateague Island, Maryland. Wilson Bulletin 112(3):333-337. Wood, P. B. 1999. Bald eagle response to boating activity in northcentral Florida. J. Raptor Res. 33(2):97-101. Huffman, R. D., M. A. Fajvan, and P. B. Wood. 1999. Effects of residual overstory on aspen development in Minnesota. Can. J. For. Res. 29:1-6. Hochachka, W. M., T. E. Martin, V. Artman, C. R. Smith, S. J. Hejl, D. E. Andersen, D. Curson, L. Petit, N. Mathews, T. Donovan, E. E. Klaas, P. B. Wood, J. C. Manolis, K. P. McFarland, J. V. Nichols, J. C. Bednarz, D. M. Evans, J. P. Duguay, S. Garner, J. Tewksbury, K. L. Purcell, J. Faaborg, C. B. Goguen, C. Rimmer, R. Dettmers, M. Knutson, J. A. Collazo, L. Garner, D. Whitehead, and G. Geupel. 1999. Scale dependence in the effects of forest coverage on parasitization by brown-headed cowbirds. Studies in Avian Biology 18:80-88. Wood, P. B., M. W. Collopy, and C. M. Sekerak. 1998. Postfledging nest dependence period for bald eagles in Florida. J. Wildl. Manage. 62(1):333-339. Wood, P. B., C. Viverette, L. Goodrich, M. Pokras, and C. Tibbott. 1996. Environmental contaminant levels in sharp-shinned hawks from the Eastern United States. J. Raptor Res. 30(3):136-144. Wood, P. B., J. White, A. Steffer, J . M. Wood, C. Facemire, and H. F. Percival. 1996. Mercury concentrations in tissues of Florida bald eagles. J. Wildl. Manage. 60:178-185. Miller, G. W., P. B. Wood, and J. V. Nichols. 1995. Two-aged silviculture--an innovative tool for enhancing species diversity and vertical structure in Appalachian hardwoods. Pp. 175-182 in L. G. Eskew, ed., Proc. 1995 National Silviculture Workshop, Mescalero, NM. USDA For. Serv. Gen. Tech. Rpt. RM-GTR-267. Fuller, M. R., C. J. Henny, and P. B. Wood. 1995. Raptors. Pp. 65-69 in E. T. LaRoe et. al (eds). Our Living Resources. USDI, Nat. Biol. Service, Washington DC. 530 pp. Murphy, B. R., and F. J. Margraf. 1995. Chapter 9--Academic Positions in Fisheries Science. In T. D. Hill and R. M. Neuman (editors). An AFS Guide to Fisheries Employment. American Fisheries Society, Education Section, Bethesda, Maryland. pp. 81-88. Perry, W. B., W. J. Janowsky, and F. J. Margraf. 1995. A bioenergetics simulation of the potential effects of angler harvest on growth of largemouth bass in a catch-and-release reservoir fishery. North American Journal of Fisheries Management. 15:705-712. Parrish, D. L., and F. J. Margraf. 1994. Spatial and temporal patterns of food use by white perch and yellow perch in Lake Erie. Journal of Freshwater Ecology. 9:29-35. Wood, P. B., and M. W. Collopy. 1993. Effects of egg removal on Bald Eagle productivity in northern Florida. J. Wildl. Manage. 57:1-9. Parrish, D. L., and F. J. Margraf. 1993. Growth responses of age 0 white perch and yellow perch from field-enclosure experiments. Hydrobiologia 254:119-123. Hartman, K. J., and F. J. Margraf. 1993. Evidence of predatory control of yellow perch (Perca flavescens) recruitment in Lake Erie, U. S. A. Journal of Fish Biology 43:109-119. Margraf, F. J., and L. M. Riley. 1993. Evaluation of scale shape for identifying spawning stocks of coastal Atlantic striped bass (Morone saxatilis). Fisheries Research 18:163-172. Hartman, K. J., and F. J. Margraf. 1992. Effects of prey and predator abundances on prey consumption and growth of walleyes in western Lake Erie. Transactions of the American Fisheries Society 121:245-260. Hayward, R. S., F. J. Margraf, D. L. Parrish, and B. Vondracek. 1991. Low-cost field estimation of yellow perch daily ration. Transactions of the American Fisheries Society 120:589-604. Parrish, D. L., and F. J. Margraf. 1991. Prey selectivity of age-0 white perch (Morone americana) and yellow perch (Perca flavescens) in laboratory experiments. Canadian Journal of Fisheries and Aquatic Sciences 48:607-610. Wood, P. B., D. A. Buehler, and M. A. Byrd. 1990. Raptor status reports: Bald Eagle. Pp. 13-21 in Proc. Southeast Raptor Management Symposium and Workshop. Nat. Wildl. Fed., Washington, DC. 245 pp. Chilton, E. W., and F. J. Margraf. 1990. Effects of fish predation on invertebrates associated with a macrophyte in Lake Onalaska, Wisconsin. Journal of Freshwater Ecology 5:289-296. Parrish, D. L., and F. J. Margraf. 1990. Gastric evacuation rates of white perch (Morone americana) determined from laboratory and field data. Environmental Biology of Fishes 29:155-158. Parrish, D. L., and F. J. Margraf. 1990. Interactions between white perch (Morone americana) and yellow perch (Perca flavescens) in Lake Erie as determined from feeding and growth. Canadian Journal of Fisheries and Aquatic Sciences 47:1779-1787. Wood, P. B., T. C. Edwards, Jr., and M. W. Collopy. 1989. Characteristics of Bald Eagle nesting habitat in Florida. J. Wildl. Manage. 53(2):441-449. Hayward, R. S., F. J. Margraf, C. T. Knight, and D. J. Glomski. 1989. Gear bias in field estimating the amount of food consumed by fish. Canadian Journal of Fisheries and Aquatic Sciences 46:874-876. Bohall-Wood, P., and M. W. Collopy. 1987. Foraging behavior of Southeastern American Kestrels in relation to habitat use. Pp. 58-65 in The Ancestral Kestrel. (D. M. Bird and R. Bowman, Eds. ) Raptor Research Report No. 6. 178 pp. Bohall-Wood, P. 1987. Abundance, habitat use, and perch use of Loggerhead Shrikes in north-central Florida. Wilson Bull. 99(1):82-86. Hayward, R. S., and F. J. Margraf. 1987. Eutrophication effects on prey size and food available to yellow perch in Lake Erie. Transactions of the American Fisheries Society. 116:210-223. Schaeffer, J. S., and F. J. Margraf. 1987. Predation on fish eggs by white perch, Morone americana, in western Lake Erie. Environmental Biology of Fishes 18:77-80. Bohall-Wood, P., and M. W. Collopy. 1986. Abundance and habitat selection of two American Kestrel subspecies in north-central Florida. Auk 103(3):557-563. Schaeffer, J. S., and F. J. Margraf. 1986. Food of white perch (Morone americana) and potential for competition with yellow perch (Perca flavescens) in Lake Erie. Ohio Journal of Science 86:26-29. Schaeffer, J. S., and F. J. Margraf. 1986. Population characteristics of the invading white perch (Morone americana) in western Lake Erie. Journal of Great Lakes Research 12:127-131. Margraf, F. J., D. M. Chase, and K. Strawn. 1985. Intake screens for sampling fish populations: the size-selectivity problem. North American Journal of Fisheries Management 5:210-213. Bohall, P. G., and M. W. Collopy. 1984. Seasonal abundance, habitat use, and perch sites of four raptor species in north-central Florida. J. Field Ornithol. 55(2):181-189. Knight, R. L., F. J. Margraf, and R. L. Carline. 1984. Piscivory by walleyes and yellow perch in western Lake Erie. Transactions of the American Fisheries Society 113:677-693. Headrick, M. R., and F. J. Margraf. 1982. Comment on multivariate analysis as a means of comparing growth in fish. Canadian Journal of Fisheries and Aquatic Sciences 39:529-530. Knight, R. L., and F. J. Margraf. 1982. Estimating stomach fullness in fishes. North American Journal of Fisheries Management 2:413-414. Margraf, F. J., and D. W. Plitt. 1982. The aquatic macrofauna and water quality of Cottonwood Creek, Oklahoma. Oklahoma Journal of Science 62:1-6. Margraf, F. J. 1980. Analysis of variance of Gulf Coast shrimp data. Volume IX. In W. B. Jackson and G. M. Faw (editors). Biological/Chemical Survey of Texoma and Capline Sector Salt Dome Brine Disposal Sites off Louisiana 1978-1979. NOAA Technical Memorandum NMFS-SEFC-33. Margraf, F. J. 1977. The growth rate of oysters held in the intake and discharge canals of an electric generating station and in natural waters. Proceedings of the World Mariculture Society 8:915-926.